January 6, 2012 —- Brought together by a collective sense of grief, a shared view of lack of due process and a common desire to create positive change within their alma mater, nearly 2,000 Penn State alumni, students, community members, university members, parents of students and fans of the university have come together in the creation of Penn Staters for Responsible Stewardship (PS4RS). “First and foremost, we have sympathy for all of the victims,” says PS4RS founder Michelle Murosky, a mechanical engineer and 2003 Penn State graduate. Three of the University’s Board of Trustees are up for re-election in April/May 2012. It has been reported that David Jones, retired New York Times Assistant Managing Editor, will not seek to retain his seat. Neither will Dr. David Joyner, who recently stepped down to assume responsibilities as the University’s interim Athletic Director. 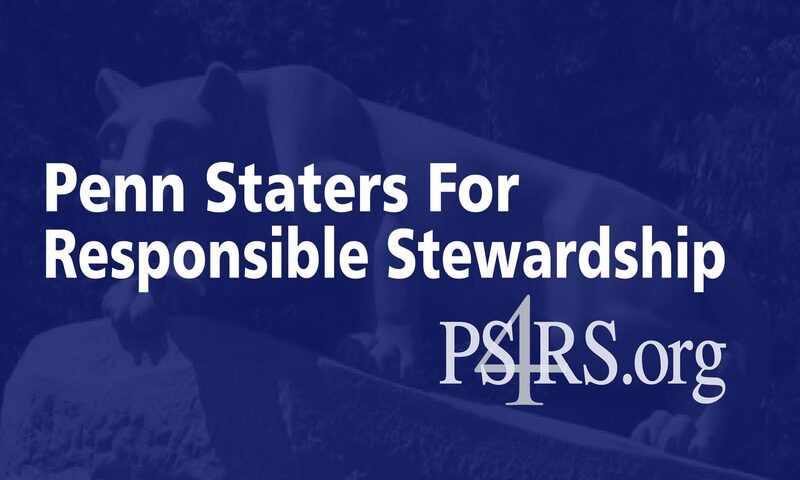 Through a widespread professional network of email, including support from many high profile members of the extended Penn State Football Family, as well as a lively, passionate Facebook group, PS4RS is publicizing an application process to screen potential Trustee candidates in order to put its eventual support behind three qualified individuals. The formal Board of Trustees election is scheduled for sometime in April 2012. Representatives from PS4RS will be on hand in Pittsburgh (Doubletree by Hilton, One Bigelow Square), Philadelphia (Radisson Hotel Valley Forge, 1160 First Ave., King of Prussia), and New York City (New York Marriott Downtown, 85 West Street), on January 11, 12 and 13 for town hall-style meetings to be conducted by Penn State President Rodney Erickson. All will be free and held from 7pm to 8:30pm, but require advance registration through the Alumni Association website.